setups and processing in their comprehensive white paper. 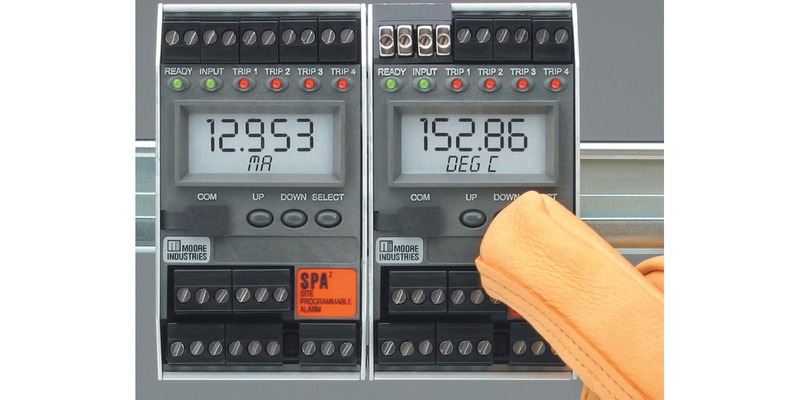 Moore Industries has a long history of designing and manufacturing process measurement and control specialties. Their unquestioned expertise at alarm monitoring and processing is encapsulated in a technical brochure entitled "Alarm Trips: The Ups and Downs". The paper covers a number of subjects related to process alarms. Each of the subjects is covered at a useful level of explanation and detail, with illustrations that provide additional clarity. An excerpt from the brochure is included below. Share your process monitoring and alarm challenges with process automation and control specialists and request a full copy of the brochure.